Formed in 1983 by Paul Weller and Mick Talbot, The Style Council were very much an eighties band, releasing nineteen singles and five albums in the UK between 1983 and 1989, before splitting-up in 1989. Paul Weller was, of course, the former front man with The Jam. Keyboard player Mick Talbot had previously played for the mod revival band The Merton Parkers (which included his brother,Danny) and also Dexys Midnight Runners. The Style Council later included Dee C. Lee who married Paul Weller in 1987 (Sadly, they divorced in 1998) and drummer Steve White. Featuring a blend of pop rock, new wave, jazz, punk and several other styles, their band had a much more sophisticated, smoother sound than both Weller and Talbot's previous bands. Their best-selling singles were Speak Like A Child, Long Hot Summer/Paris Match (double A-side), My Ever Changing Moods, You're The Best Thing/The Big Boss Groove (double A-side), Shout To The Top, Walls Come Tumbling Down and It Didn't Matter which all reached the UK Top Ten. 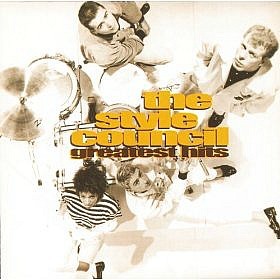 The band's debut single taken from the album Introducing The Style Council. The song reached #4 in the UK, and was the first of sixteen Top 40 hits for the band. It's just a pity that the sleeve was so bland! Ah, the old pullover tied around the neck look. They should've been models for Burton's. This was the third hit single for the British band, peaking at #3 in the British Singles Chart. 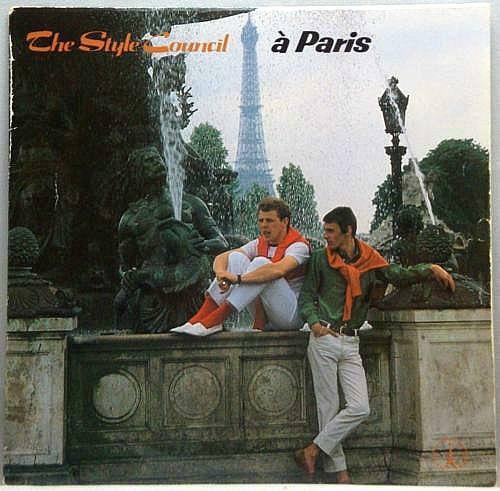 The track was part of a double-A side with Paris Match. The video features the duo relaxing on the river Cam in Cambridge. Yes, these were the days when we actually had decent summers! 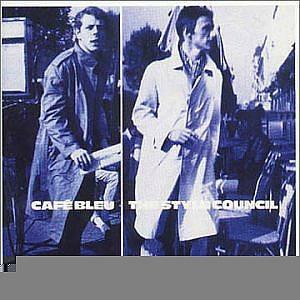 The band's fifth single, My Ever Changing Moods, reached #5 here in the British Isles and was the lead single from Cafe Bleu. 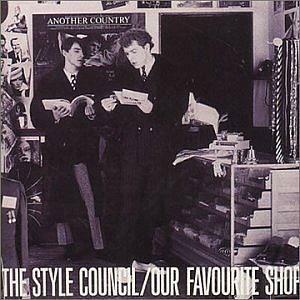 Released on 9th May 1985, the Style Council's second album featured a wide range of music styles, and the lyrics dealt with meaningful subjects such as racism, consumerism, greed and suicide. The fifteen track album topped the UK album charts. This video clip features kids TV presenter Keith Chegwin (DJ Janice Long's brother) interviewing Paul Weller and Mick Talbot. This episode was broadcast live on 5th April 1986. The band were promoting their single Have You Ever Had it Blue and Paul Weller also took part in the video vote later on in the show and slated every artist! Hmm, it looks like Paul Weller's hair came tumbling down, too!